Grabbed from Gunhill... Off to Europe! Picked It Up at Piranska Panorama (GC2TGVQ) (visit link). Now travelling with us through Europe. Thanks for this. I will add to my collection of cachers signature items. Discovered it in the hands of JNAN6500. In New York from Michigan to see the sights and find some geocaches! 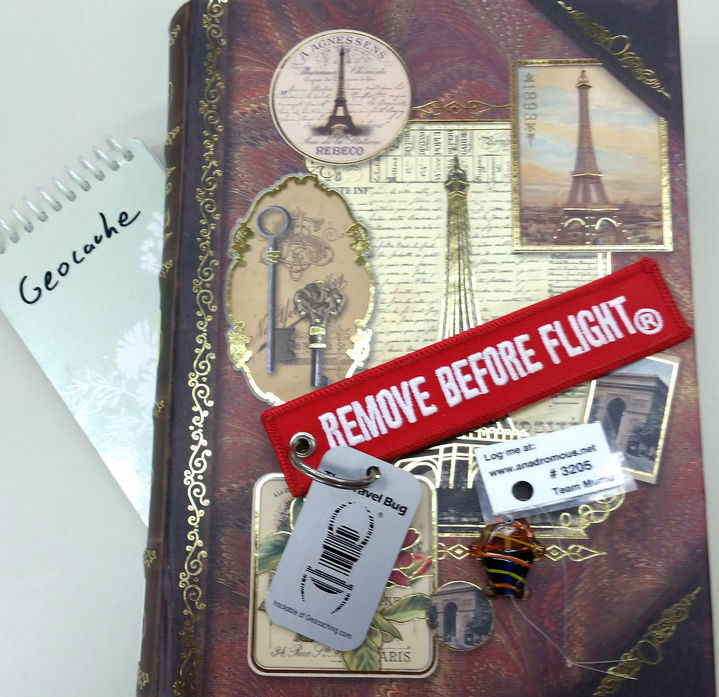 While I was dropping a travel bug I discovered this little gal :) what a great idea! Found this while finding some highly favorited geocaches for the Cache Carnival! Picked it up this morning in Octopus Garden. Never saw one of these before!